The Honda CIVIC has been a market leader for years and continually raises the bar for a compact sedan. 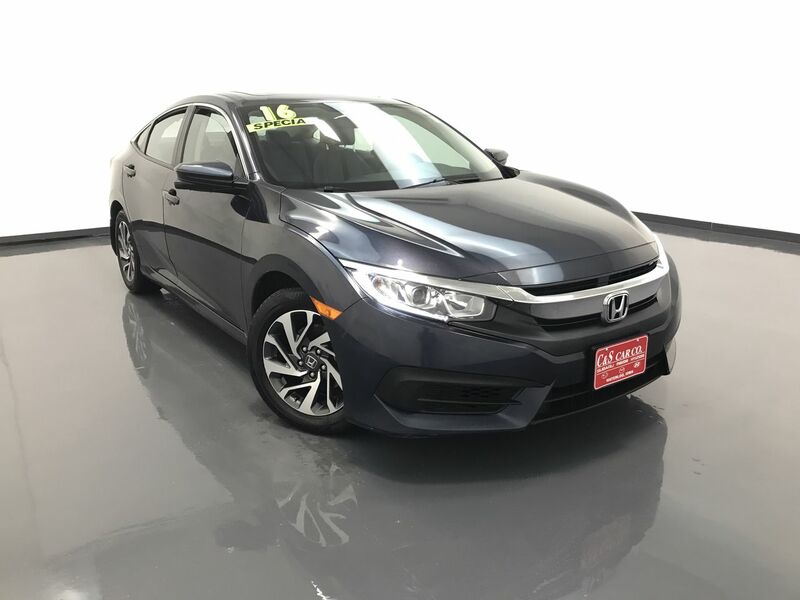 This 2016 CIVIC EX has electronic stability control with anti-lock brakes, and achieves a 39MPG rating from the EPA with its continuously variable transmission. There is keyless entry and ignition, all weather floor mats, a sunroof, a back-up camera, and an AM/FM sound system with Bluetooth connectivity. The exterior features 16" alloy wheels with Bridgestone tires. The Civic has received a four star safety rating from the NHTSA. **One Owner** Call C & S Car toll free at 866-212-8718 or locally at 319-291-7321.